Clth, 9.25 x 11 in. / 96 pgs / 67 bw. British documentary photographer and artist Stephen Gill (born 1971) presents a collection of found photographs from postwar Hackney, a borough in East London, in the 1950s. 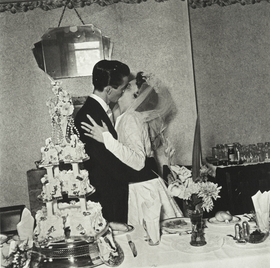 Photographer unknown, these high-quality, medium-format images all depict couples kissing on their wedding days, surrounded by overexposed wedding cakes, guests and decadent flower arrangements. 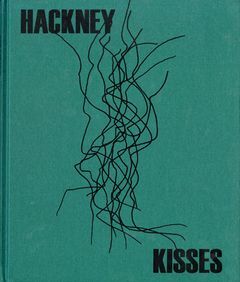 Featured image is reproduced from Stephen Gill: Hackney Kisses. FORMAT: Clth, 9.25 x 11 in. / 96 pgs / 67 b&w. Published by The Archive of Modern Conflict.